These ceiling fans come with four 40" diameter white blades and a white housing. The 12 volt, three speed reversible motor is operated by an infrared remote control and draws 1. 2 amps on high speed; 0. 75 amps on medium speed and 0. 5 amps on low speed. 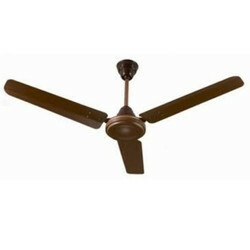 - Superior Quality Battery Operated Ceiling Fan. - Fans Are Widely Appreciated For Features Like Durability, Optimum Performance, Attractive Design And Cost Effectiveness. DC motor (BLDC) can help users to sleep peacefully. Brushless DC motorÂ design for energy efficient. High efficiency , high torque & low acousticÂ noise. Reverse polarityÂ protection fan should not work with reverse polarity. Heavy duty silicon stamping automated copper wounded motor. We are the chief manufacturer of wide variety of high quality solar fans in the market. 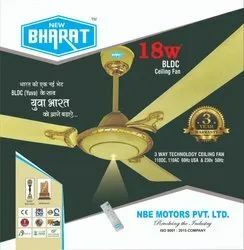 We are pleased to offer our valuable clients Ac Dc Ceiling Fan of 48inches which are made with the help of high end technologies. Our products are made out of high grade raw materials. We provide our products at leading prices in the market and i am looking for bulk order.